Halloween is quickly becoming my favorite holiday. It’s rivaling Christmas and I’m not mad about it one bit. Maybe it’s because the kid's costumes are so darn cute? We already have our costumes picked out and the house is pretty much decorated but I seem to keep adding more and more. My obsession with skeletons is real and luckily the kids are embracing my new love for all things scary. 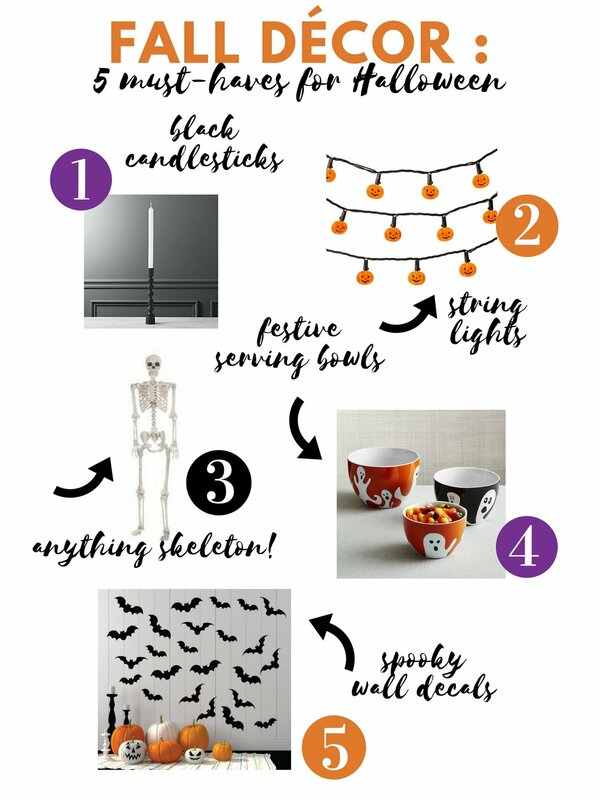 Here is a roundup of the fun Halloween décor I’m using to turn my house spooky for Halloween.